The pub is open at the following times. To make a booking, please click here. The Verulam Arms has been a pub for almost 160 years. The name Verulam is derived from Verulamium – the ancient Roman town which predated St. Albans. Slightly more recently – since 2011 in fact – we’ve been serving Wild Food from the pub. As well as continuing to serve traditional real ale, we’ve been developing a Craft Beer Bar in the pub, which has rapidly grown to offer the largest range of draft beer products in St Albans. We like our food natural, honest, and with a bit of earth still on it. Ask in our Wild Food Pub, The Verulam Arms, or at one of our mobile or pop-up kitchens, and we can probably tell you who caught the fish on your plate, and in which river, or who picked your mushrooms, and in which wood. There are no convoluted supply chains here, and no air miles, only what’s real and what’s good. We like to pick things from the ground and put them into our mouths because that’s what hands are for. We believe in hunting and gathering and feeding ourselves. Not so very long ago, human life depended upon a relationship with the natural world that has been almost lost today. We want that skill and knowledge back. We want to keep tradition alive. We want to survive the winter. We like to rummage through the hedgerows like a child in a sweet shop, but we never take too much, and we’re always sure to make the most of what we take. We pickle and preserve. We value the root as much as the bloom. We try to avoid waste in everything we do. We save unwanted furniture and recycle it for our pub. Most of all, we believe in the sheer joy of foraging. Share it with us! Wrap up warm and head into the forest, get mud under your fingernails. 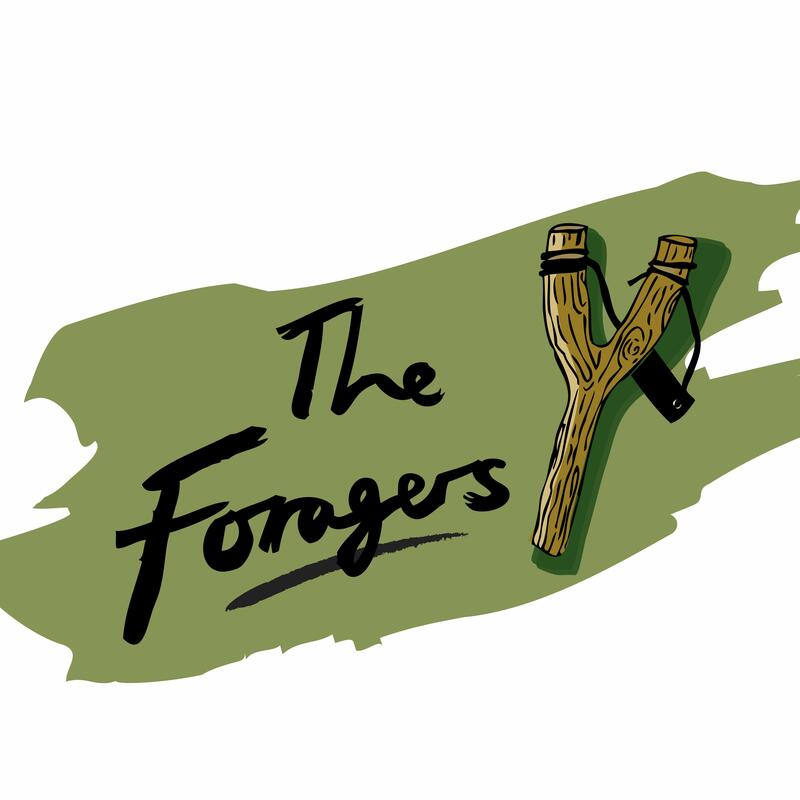 With our wild food banquets, walks, talks, demonstrations and expeditions, we want to find the natural forager in everyone. amazing food and lovely staff - always a great roast! Nice food and table service was good. The manager wasn't the friendliest / was a little defensive and made us feel a little unwelome to start with (she warmed up a little the longer we were there). Had a lovely meal with friends . Service was attentive and good . We had the mushrooms on toast and beetroot with mackerel for starters . These were excellent . Then pie of the the day . Belly pork ,vegan curry and a seed loaf were all very much enjoyed . Good choices and great evening. I was initially a little dissapointed that your menu didn't feature the fish stew as posted on your website and I had partly chosen to book for my birthday to eat that dish! It wasn't clear from the website that it was only a sample. The main courses were lacking in fish dishes. However I chose the pork belly and it was delicious as was everything else we ordered. The service was also excellent. The food was amazing - best and most interesting food I have had in many, many years. The fact there was rhubarb - my all time favourite food - made it even better. Will definitely go again. Lovely menu - small but better that way - deliciously executed. Friendly, professional table service. Nice attention to detail in terms of table decoration and serving. Very much enjoyed our visit; I had been with a work group a while back and really liked the philosophy. Great food, some amazingly different tastes (bacalau really good) and good value. Fantastic Sunday roast, great service but some of the desserts had run out. We had a great meal for 11 of us. Food was (as always) excellent. Thanks very much! Quirky but interesting menu, full of imaginative dishes nicely presented. Good ground for the adventurous in a pub environment. Very interesting menu in lovely surroundings. Food and service was very good as usual. Always an interesting and novel selection of items on the menu. Been here many times in recent years, not been disappointed yet. The best roast in the whole of St Albans. Thank you for making my 40th one to remember! We've been to you for dinner on several occasions by ourselves or with different friends and family. Always enjoyed the setting, the atmosphere, friendly and helpful staff and really tasty food. Slightly disappointed on our latest visit. Food seemed to lack some of the depth and subtlety of flavour and just some of the usual "buzz" about the place seemed to be lacking. I'm sure it was just a bit of an off evening. It was all OK though and we shall be back again sometime. On Thursday 31st of Jan we had a reservation for 15 people. Unfortunately 2 people had to cancel due to the snow, Aiden was very understanding and polite. I had cod bites to start with and Pork goulash for mains.Many of my friends had the pop belly for mains and loved it. I really enjoyed both but especially the goulash. The atmosphere and service were excellent, and we really appreciated Aiden's attentiveness, even giving us advise on parking in the area. My only comment was it seemed to be very warm in the restaurant. Thank you Aiden and The Foragers staff for a wonderful evening. Great food. The set menu is perfect for a week night and great wine. The cocktails are always great but the recipes weren’t to my taste this time. I’m sure others loved them though.